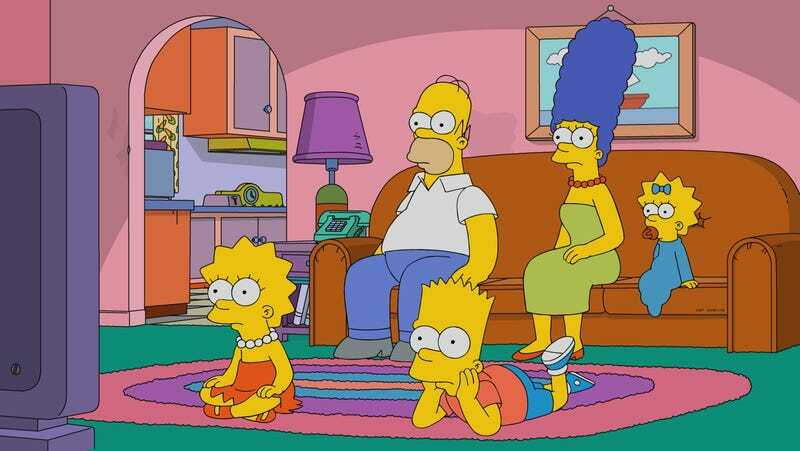 What exactly happened to The Simpsons? It’s a question that has haunted pop culture fans for over a decade. Throughout the 1990s, the animated family sitcom had an unparalleled run. Then, at some point, things took a turn for the worse. Not awful, mind you. Just worse. Did we simply age out of enjoying the show? Did it succumb to its own Flanderization? Did our culture just reach a saturation point where we couldn’t handle anymore good Simpsons? Recently, Dublin-based PhD student Nathan Cunningham decided to take a more analytic approach to answering this question by comparing the decline in the show’s IMDB ratings with the changes in the writing staff. The resulting figures present a convincing case for both when and why the show stopped being so great. Last year, Cunningham attempted to answer the question “When did the golden age of The Simpsons end?” and determined that it was just after the 200 episode mark. In order to show if that turning point coincided with a shift in the writing staff, he had to first analyze which of the show’s consistent writers (those with more than ten credits) were the best and which were the worst. Fans of the show will not be surprised to see Josh Weinstein and Bill Oakley at the top of this list. As a writing duo and co-show runners, they presided over some of the show’s best seasons. The names near the bottom of the list may be less familiar and that’s because, as Cunningham discovered, most of them joined the staff during the show’s later, less critically acclaimed era. So, while there are certainly some flaws in this analysis—like the dependence on IMDB ratings as any sort of objective critical ranking—there is clearly some correlation here. When you put it simply, it makes sense. The Simpsons stopped being as good once the core group of writers that helped create the show left. New writers came in with new sensibilities and the show just never felt quite the same. It’s an inkling we’ve had for a long time, but now there’s some data to back it up. You can read Cunningham’s full analysis here. Scientifically speaking: When is a TV show at its best?